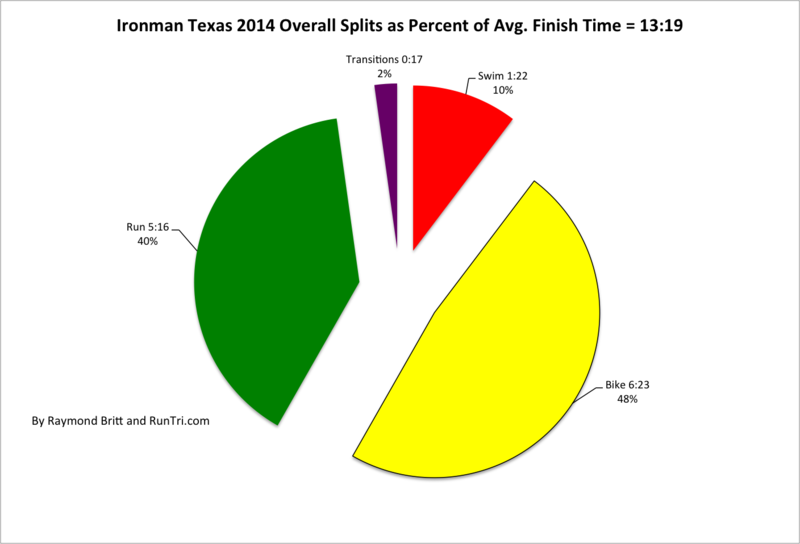 The results of Ironman Texas 2014 clearly show that, once again, the event maintained its position as one of the tougher full Ironman races in the world. 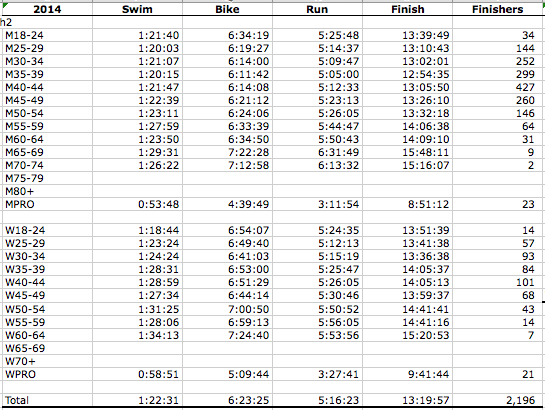 How tough? 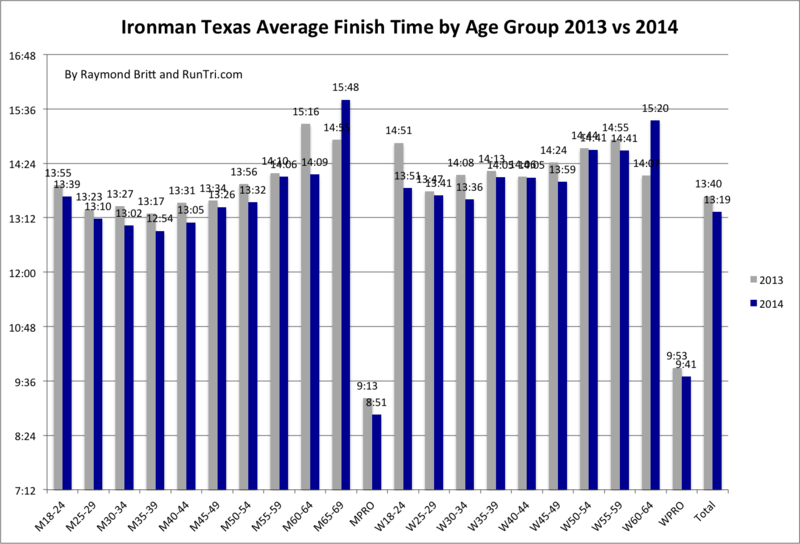 A 13:16 average finish time (similar to 13:18 in 2012 but much slower than the average for all global Ironman events we've analyzed -- 12:35) and a 9.9% DNF rate, about double the average North American Ironman DNF result. 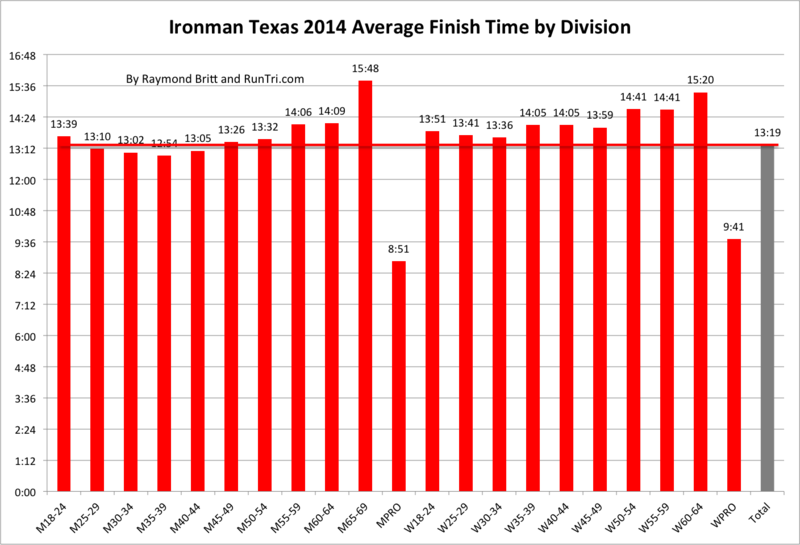 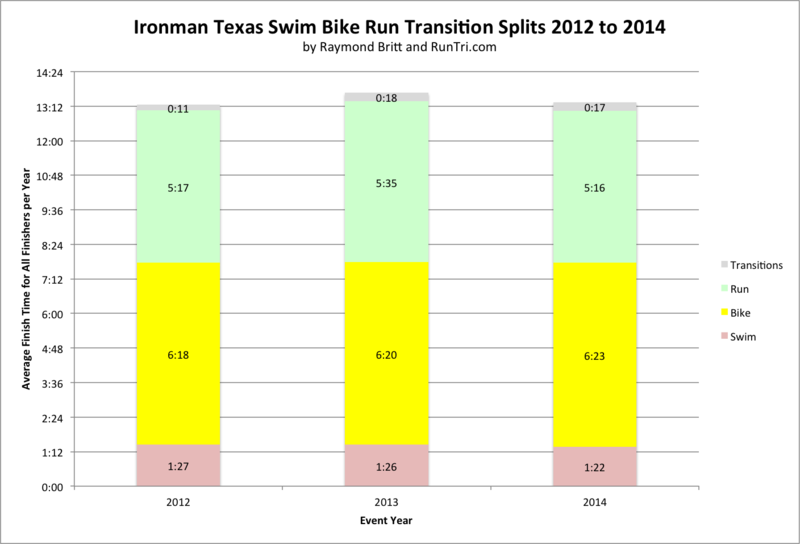 Yet it could have been worse: Ironman Texas 2013 resulted in an average finish time of 13:40 and DNF of 17%. 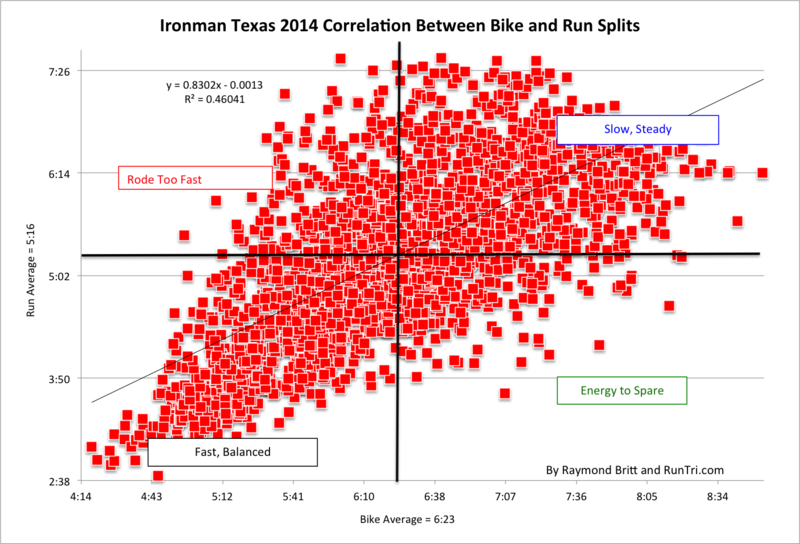 But don't let the numbers overshadow a most important point: Ironman Texas is a great event, very popular on the Ironman circuit, and it comes highly recommended by well over 2,000 participants each year. 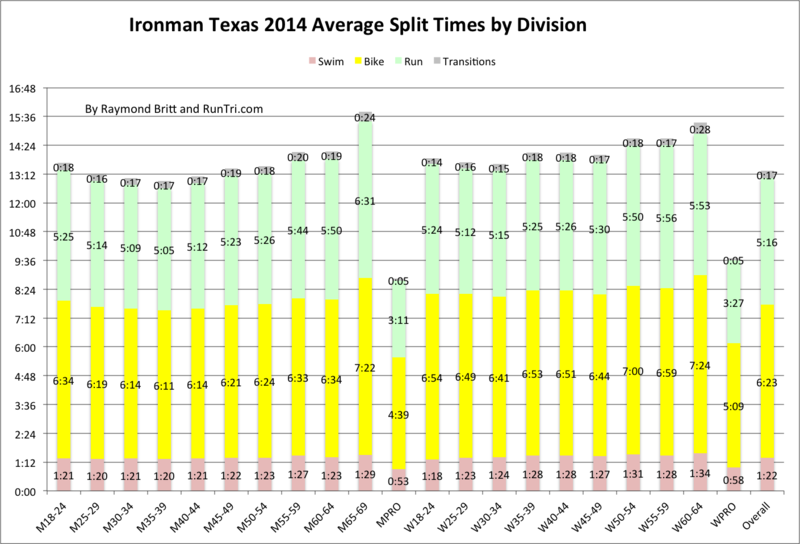 Our complete results analysis -- overall, by division, by split, vs previous years and more -- show specifically how challenging the event was this year.